Planting God's Word in Children's Hearts. Children's Ministry Place offers dynamic resources for success in ministry to children in your home or church. Bring the children for an excellent educational opportunity to learn how to achieve the full possibilities of health and happiness. 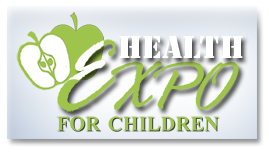 Each child will not only visit 9 interactive health stations, but also design their own "Keys to Health" craft book and complete a fun "Passport to Health" booklet. They will discover how they can be ten times wiser by following the personalized suggestions of the their health instructor. More Information Coming Soon! We have a dedicated website for watching our videos. It is easy to use and you can watch the videos on virtually any device. The website is called BibleStoryHour.com. Please check it out. Download our Online Catalog and Order Form. or call us at 509 732-4477 and ask questions or order by phone. Find materials for childrens ministry in our online store. Bible Felts at discount prices, a training dvd, music books and cd's. More items coming soon. Graphics for use in Microsoft® Powerpoint® or equivalent presentation software. With this Digital Felt Collection and Microsoft® Powerpoint® it is easy to create beautifully animated presentations. Teacher's will find that children love to watch the scenes being created and objects appearing on the screen to illustrate the various Bible Stories. More than 1500 graphics, several premade sample scenes, and more than 20 backgrounds and overlays are included. Here is a list of the included types of graphics: Angels, Animals, Animals/Sheep, Birds & Fish, Decisions & Appeals, Food Items, Graveyard Items, Home Items, Jesus, Nature - Land & Sea, Nature - Sky, Nature - Trees & Plants, People - Children, People - Men, People - Soldiers, People - Women, Prophecy, and Backgrounds & Overlays. This is a wholesome alternative to video games, TV, and other soul destroying entertainments. For teachers, this collection will save you time and money as compared to the traditional felt sets. View some of the plans that Lisa uses to organize her children's programs. See Teacher's Lesson Plans. Watch FREE online videos of a children's Bible lesson here. At Children's Ministry Place you'll discover how to teach the weekly Bible lesson in a way that captivates and changes children's lives. You'll also find free downloadable Bible coloring pages and much more. Visit often as we will keep adding materials to this website. Learn to discipline children in a way that achieves more than outward compliance but obedience from the heart. Follow these simple steps. Quick and easy to prepare, this activity engages the children and involves them in discovering a pivotal point in the lesson. Here's how to do it. Looking for fresh methods, practical examples, and effective tools for making children eager to study their Bibles? Find these keys and many more so you can help transform children's lives with the living power of the Word of God. Help / Teaching Aids for Bible Teachers!!! This New DVD collection contains 3 DVD's which each have four High Quality Bible lesson videos. Receive helpful information, coupons, special promotions, and more in our newsletter.